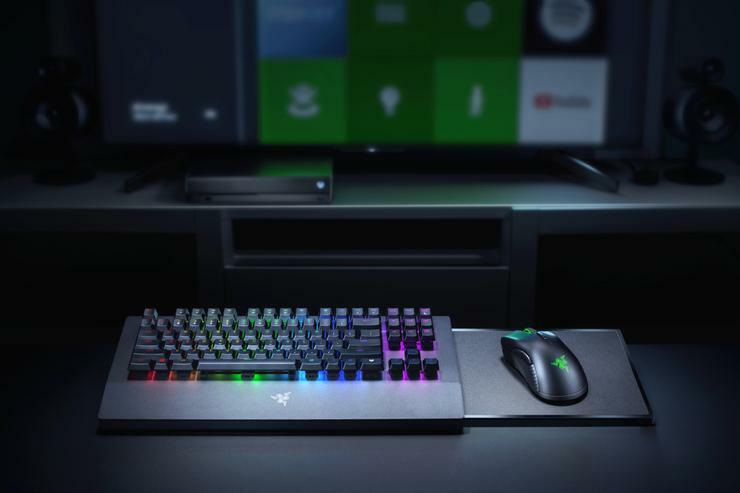 Following up on their tease earlier in the year, Razer has officially announced their first Xbox One mouse and keyboard bundle. “We’re extremely proud to team up with Microsoft to bring you this exclusive collaboration,” says Razer Co-Founder and CEO Min-Liang Tan. Rather than rely on Bluetooth, the Razer Turret keyboard and mouse rely on a single USB dongle and 2.4 GHz wireless connection. The keyboard itself features Razer Mechanical Switches with 50 g actuation force, 10-key roll-over anti-ghosting and fully-featured Razer Chroma RGB functionality. Razer say that they are working with developers to bring Xbox Dynamic Lighting and Razer Chroma support to titles such as X-Morph-Defense, Vermintide 2 and more. With dynamic lighting enabled, a full charge will get you 11 hours of use before the battery runs out. 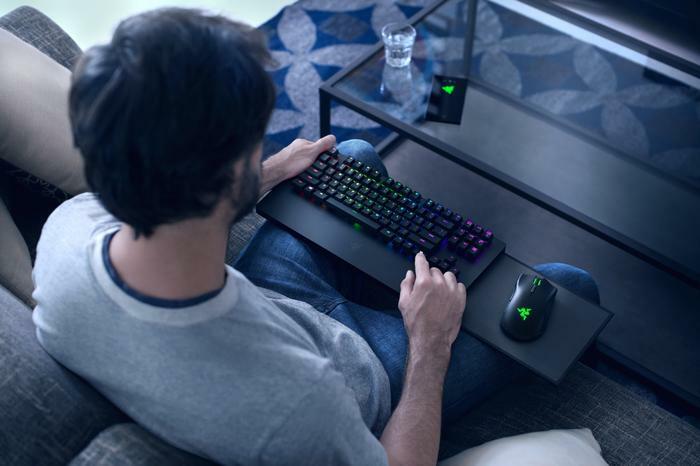 Without lighting, the Razer Turret keyboard can be used for 43 hours before needing to be recharged. The Razer Turret keyboard also features two unique perks for console gamers. The first is a dedicated Xbox key that pulls up the Xbox One dashboard. The second is a nifty rectractable mouse surface that's hidden away inside the keyboard when not in use. As for the wireless mouse, it's modeled on the recent Razer Mamba. Like the Mamba, it features a Razer 5G Advanced Optical Sensor with true 16,000 DPI and seven programmable "Hyperesponse" buttons. With the Chroma-integrated RGB lighting on the mouse enabled, you'll get 30 hours of usage out of a single charge. Turning off the lighting lets you push onwards to 50 hours. Australian and New Zealand pricing for the Razer Turret has yet to be announced but overseas, the combined package will be priced at US$249 and available from Q1.